Addis Ababa (HAN) October 30, 2014 – Public diplomacy and International development for food security news. 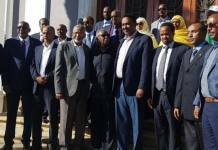 Foreign Minister, Dr. Tedros Adhanom, led an Ethiopian delegation in cluding the Ministers of Finance and Agriculture to Kuwait over the weekend. Dr. Tedros delivered the “Food Security Project Proposal” from Prime Minister Hailemariam Desalegn to Sheikh Sabah Al-Ahmed Al-Jabir Al-Sabah, Amir of the State of Kuwait, in accordance with the discussions the two leaders had held at the Africa- Arab Summit last year. The Amir welcomed the proposal, noting that food security was crucial to Kuwait, to Ethiopia and to the international community. Dr. Tedros congratulated the Amir of the State of Kuwait in his designation in September as a ‘Humanitarian Leader’ by the United Nations Secretary General and of the State of Kuwait as a ‘Humanitarian Center’. Tedros said the Amir and Kuwait which allocates 1.3% of its GDP to humanitarian aid, fully deserved the recognition, noting their support to the socio-economic development of Africa and of Ethiopia. 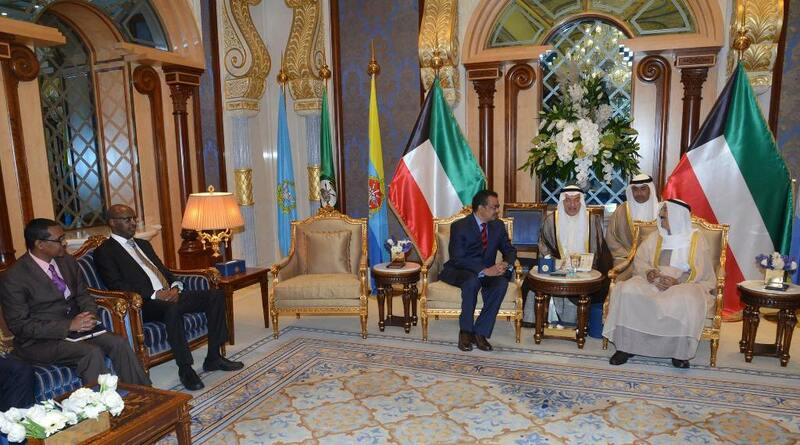 Dr. Tedros said Prime Minister Hailemariam was keen to boost socio-economic partnership with the State of Kuwait. The Amir confirmed that Kuwait would remain committed to support the socio-economic efforts of Ethiopia to tackle poverty. During his visit Dr. Tedros and his delegation also met with Sheikh Sabah Khalid Al-Hamad Al-Sabah, First Deputy Prime Minister and Minister of Foreign Affairs. Sheikh Al-Sabah appreciated the role of Ethiopia in working for peace and stability in the Horn of Africa and welcomed the the positive dialogue between Ethiopia and Sudan and Egypt concerning Grand Renaissance Dam. He expressed interest in starting preparations for the joint Ministerial Commission meeting, and also explained he was ready to support efforts of the Kuwait private sector to utilize investment opportunities available in Ethiopia. Photo: During the visit to Kuwait, Ethiopia’s Minister of Finance, Sofian Ahmed, and Minister of Agriculture, Tefera Derbew, held talks with the Directors of the Kuwait Fund for Arab Development and the Investment Authority as well as the Kuwait Ministers of Finance, Oil and Agriculture on food security and socio-economic development. I’m interested in this program and I’d like to know what to do to get such organization in DRC ?